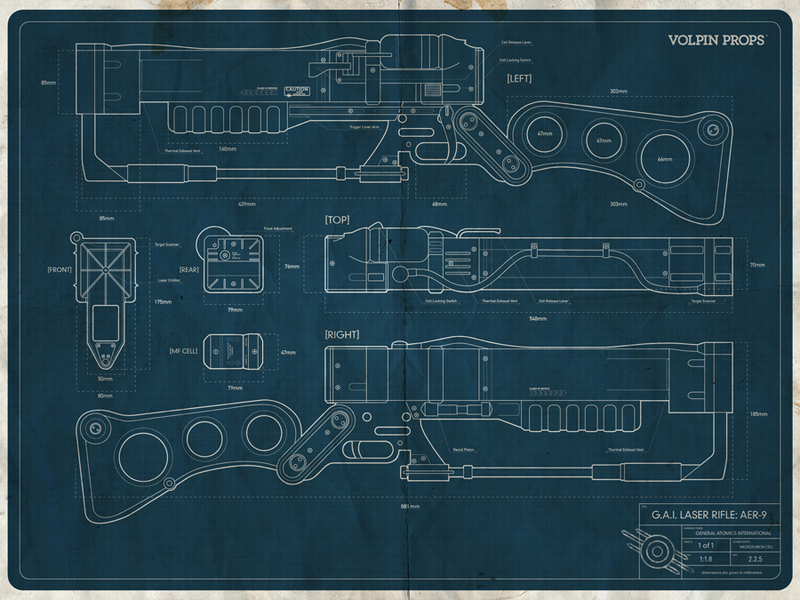 Found lying in the wastes, these posters give you all the measurements and call outs needed to make your very own Laser Rifle. I just happened to stumble on a pack of a few hundred, so the rest are up for sale! The AER-9 is one of my personal favorite builds and this is one of my favorite poster designs too. Don’t you think so too? Why thank you!